“There is no abstract art. You must always start with something. Abstract art may not be a favorite of everyones. It’s easy to judge it and place abstract under a catch-all umbrella. You may not realize the many variations that have erupted out of the different modern movements. Each have their own perspectives and points of view, whether it is Realism, Impressionism, or Abstract Expressionism, they all work with line, color, and space in some way. 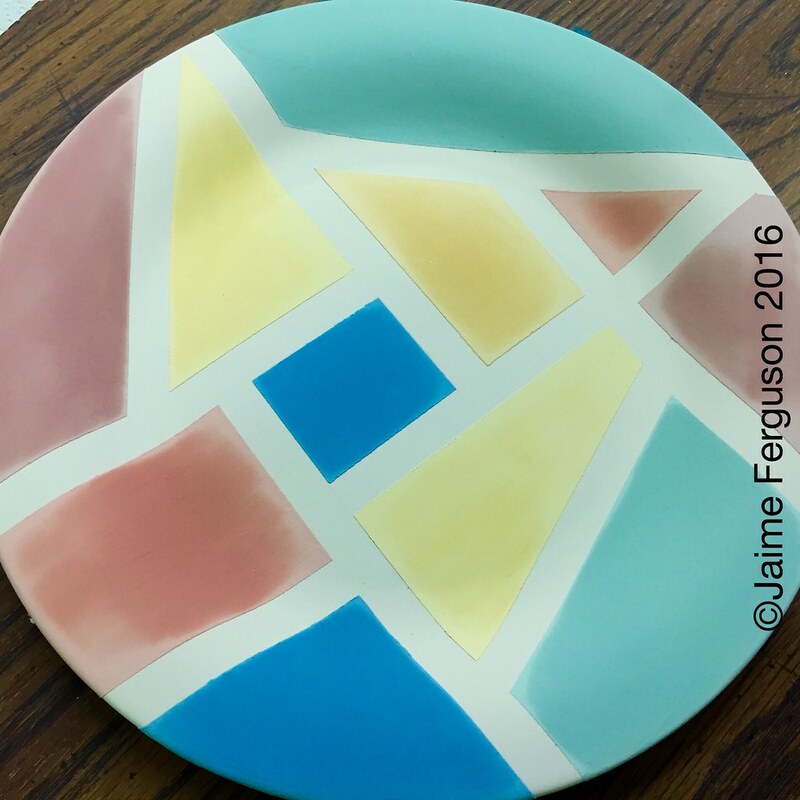 Abstract plate before clear glaze and the firing in the kiln. 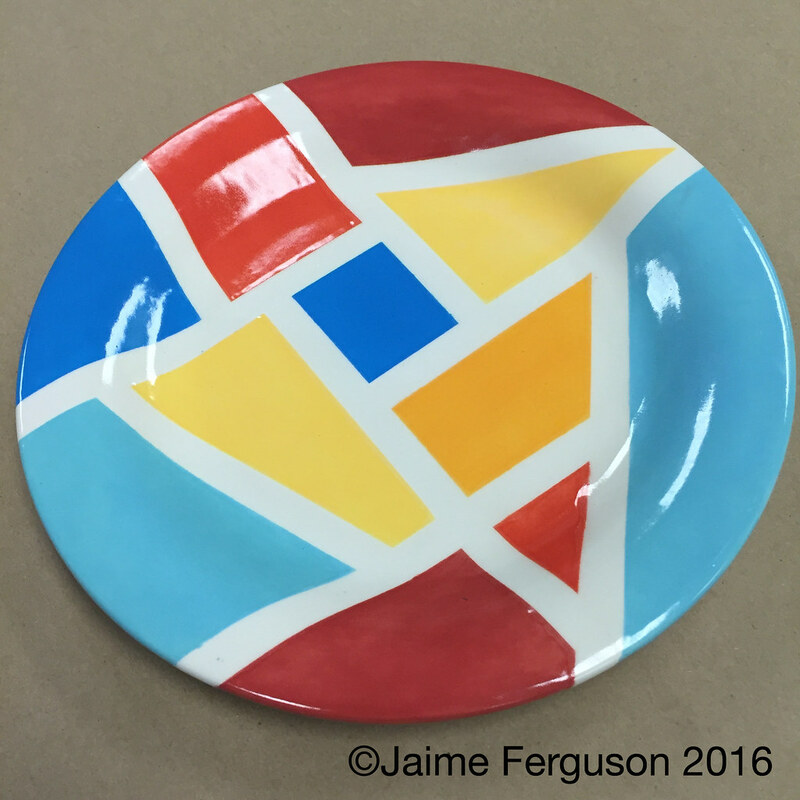 Abstract plate after it has been fired. Please sign up for the paint-your-own pottery workshop at Decoy Art Studio in Beavercreek, Ohio! You have three options to sign up: 1. Call the studio at (937) 431-4838 2. Book the “Lettering Type Coffee Mug” workshop on the www.decoy-art.com website by going to the following URL: https://placefull.com/clay-workshops—workshop-wednesday-series 3. Visit the studio at 1561 Grange Hall Rd., Beavercreek, Ohio.